My Robot Companion is an ongoing project developed by Anna Dumitriu and Alex May in their role as artists in residence in the Department of Computer Science at the University of Hertfordshire. They worked in collaboration with Professor Kerstin Dautenhahn and Dr Michael L Walters from the Adaptive Systems Research Group to investigate their research into social robotics and to ask the questions, do we want and need robot companions? And, if so, what kind of robot companions do we, as a society, want? 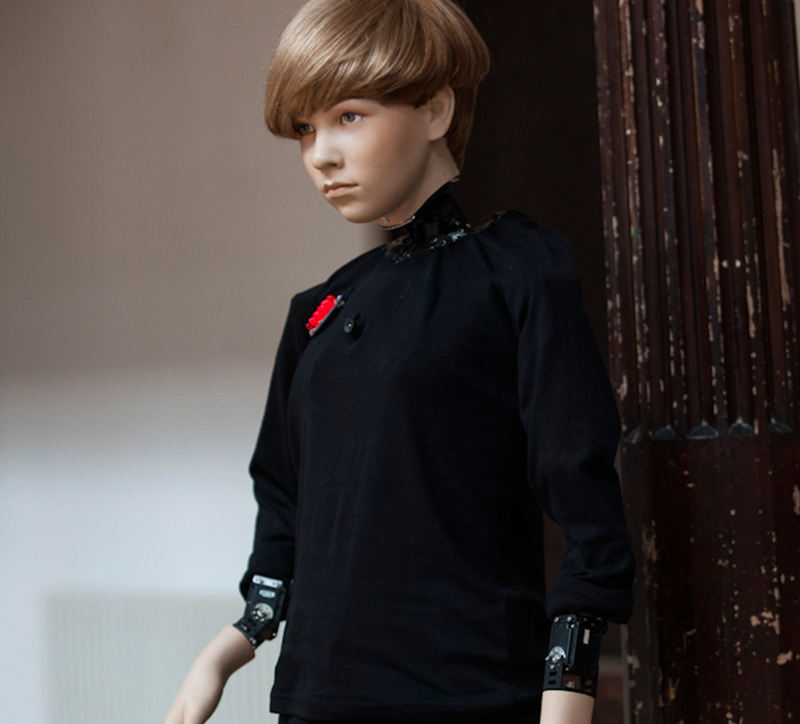 HARR1 (Humanoid Art Research Robot 1) has been designed to be a customizable robot for artistic research created by the team. The artists are using the robot to investigate human/robot interaction from a cultural and ethical perspective, playing with touch, movement, vision, and appearance. The robot can even exhibit signs of boredom, body language, or demonstrate ‘caring’ actions such as putting its arm around someone. In The Creative Machine HARR1 is seeking out things that are interesting in the exhibition space and those things will catch its attention, though it may soon become bored and drift off to its own ‘thoughts’ or processes. It fidgets constantly and unlike other robots is rarely still. The team use art and performance techniques as a means of intervening within the scientific research process itself and the project won an AISB Award for Public Understanding of Artificial Intelligence in 2012. Funded by Arts Council England and The University of Hertfordshire. For more information on the project see myrobotcompanion.com.